Bali is known for many things: the beautiful beaches, the amazing surf breaks and the unique Balinese Hindu culture. But, it also happens to be a very popular, and well serviced, shopping location. The small island, one of 17,000 in the Indonesian archipelago, is home to over 4,000,000 people and caters for a large proportion of Indonesia’s tourist trade. The tourism industry has led to a tidal wave of shopping and consumer options all over the island, leaving many visitors unsure as to the best locations to do their holiday shopping. The Sukawati Art Market, located in Gianyar on Jalan Raya Sukawati, is Bali’s biggest market dedicated just for the sale of handicrafts and traditional handmade items. The two storey market is almost always busy with large numbers of both locals and tourists. 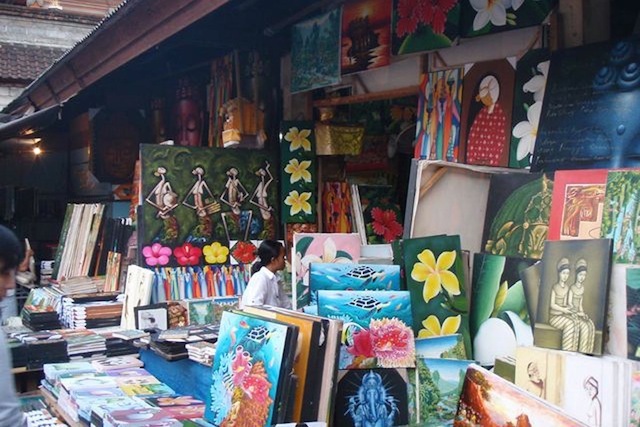 Established during the 1980s, the Sukawati Art Market sells a variety of paintings, wooden sculptures, traditional clothing, sarongs, woven textiles, batik, Balinese kites, theatre masks and incenses at competitive prices. Bartering is expected, and the Sukawati Art Market offers some of the cheapest prices on the island, but maintaining a friendly attitude during the process is a must. One of the largest shopping malls in Bali (certainly the largest in Kuta), the Discovery Shopping Mall is located on Jalan Kartika Plaza at the edge of Kuta Beach. The complex is one of variety, featuring three floors of international and domestic fashion and lifestyle brands, as well as diverse dining options. Shoppers can expect to find department stalls, including the popular Batik Keris which sells a range of quality Indonesian batik and fashion outlets, including Polo, Osh Kosh, DC, Quicksilver, Body N’ Soul, Billabong, Hurley and Guess. There is also a wide selection of sports stores, such as Puma, Adidas and Nike. 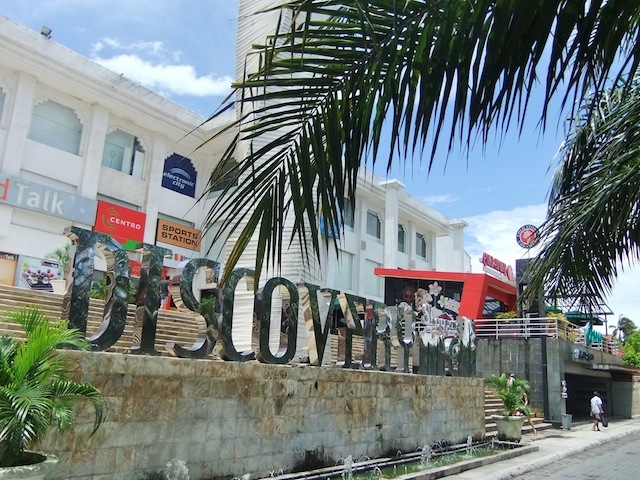 For those planning on a longer day of shopping, Discovery Shopping Mall is an ideal place for food and dining, with a large number food outlets ranging from local Es Teler 77, to international Baskin & Robbins. Prices are fixed price, and both parking and ATMs are available. For decades, the village of Celuk has been the central hub of quality gold and silver jewellery and fine art pieces in Bali. The main thoroughfare, Jalan Raya Celuk, is lined with galleries and workshops showcasing the many beautiful items produced on site. Local craftsmen are famed for their skills and dedication, with families of talented jewellers making up a large portion of the population. The area is particularly well known for the intricate style of craftsmanship, and shoppers will find both traditional and modern designs there. In all the shops in Celuk village, shoppers can expect a range of both souvenirs and mass export items ranging from rings, bracelets, pendants and earrings to souvenir traditional Balinese ceremonial ornaments. Prices tend to be listed on the products, but bartering remains accepted in most smaller shops. 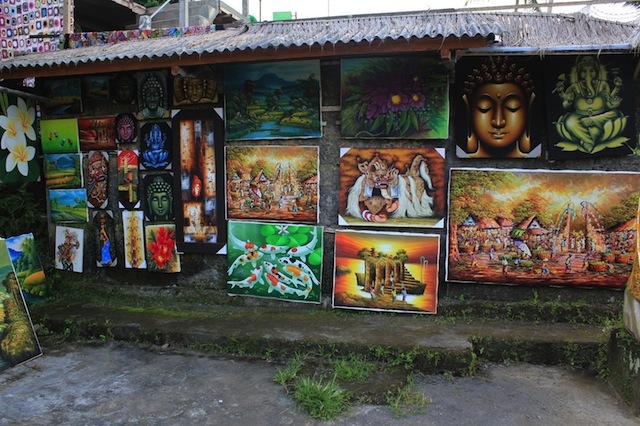 An area famous for arts and handicrafts, the Tegallalang Handicraft Centre, located just a few kilometres north of Ubud’s main hub, is far from a normal shopping experience. 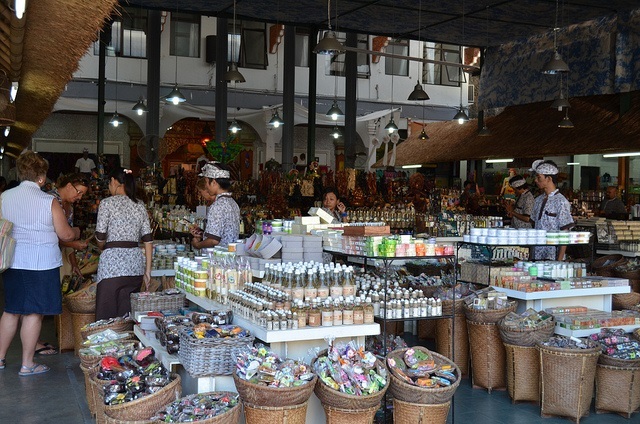 Instead of a central consumer area, the Tegallalang Handicraft Centre consists of a long road of hundreds of individual shops selling Balinese art and handicrafts. On top of the enormous selection of different art styles, ranging from traditional Balinese to imitations of famous masters, the shops along the Tegallalang route also sell handicrafts, wooden sculptures, furniture and general curios. Some shops sell interesting jewellery made from mother of pearl, shells, wood, stone and resin. Although most stores will label and price their items, these do not mean they are fixed prices; bargaining is part of the shopping experience here. Remember though, your country may have specific customs requirements, especially for wooden handicrafts. A sizable shopping complex located at the Simpang Dewaruci roundabout in the Kuta area, Mal Bali Galleria is a full shopping and entertainment experience. Based on the concept of a ‘family mall’, Mal Bali Galleria is a shopping centre, a dining location and an entertainment venue. 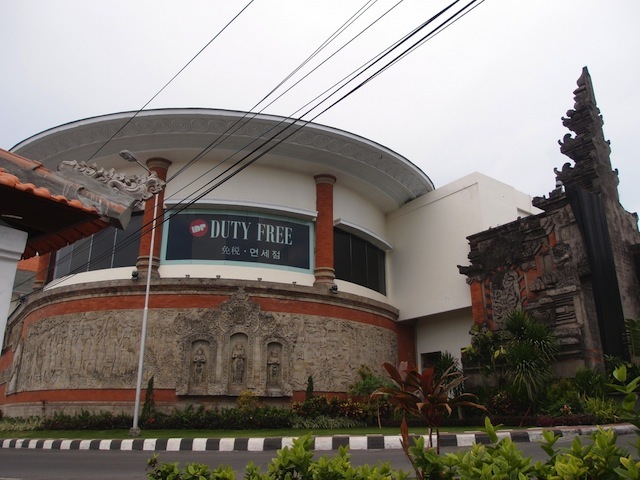 Notable shops include the popular DFS Galleria Bali, a duty free luxury retailer specialising in women’s fashion, beauty, skincare and perfumes, as well as men’s accessories and a range of liquors. Fashion brands inside range from Cartier to Calvin Klein, all authentic and competitively priced. In the mall section of Mal Bali Galleria shoppers will find international names like L’Occitane, The Body Shop and Crocs, as well as a number of familiar dining options like Starbucks, J.Co Donuts and more. Within the entertainment section there is also a two screen cinema showing the latest international blockbusters, with tickets ranging from USD$2 – $4. Bali offers both a wide variety of different products, and a high level of product quality at many of its popular shopping locations. This means that no matter what a shopper is looking for during their time in Bali, they’re likely to find it at one of these popular shopping locations. Interesting. In Bali, it should be noted that price already includes tourist add-on so make sure you know how to bargain! There may be quite a few shops selling the same things so take your time to look around so you get the best price! When you shop, make sure what you want to buy. Because in Bali very many souvenirs, handicrafts, food, etc. My advice to shop in the Market Sukawati, be clever in bargain price of goods. If you are smart in the bargain, you can get cheap price and good quality. 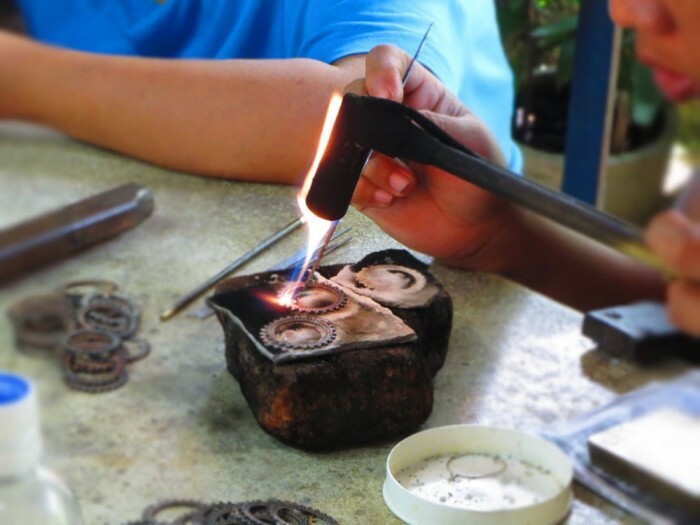 In Bali, there are places to buy jewelry and art pieces in Bali you can buy at Celuk Gold and Silversmiths, Celuk Village. Tips choose the items is what you needed and affordable with the money you have. Happy Shopping!